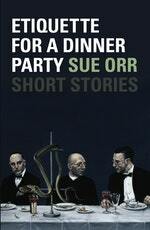 Sue Orr is the author of two short story collections. Etiquette for a Dinner Party (2008) won the Lilian Ida Smith Award and From Under the Overcoat (2011) was shortlisted for the 2012 New Zealand Post Book Awards and won the People’s Choice Award. Her fiction has been published in New Zealand and international anthologies and translated into Spanish. In 2011 she was the Sargeson Buddle Findlay Fellow. 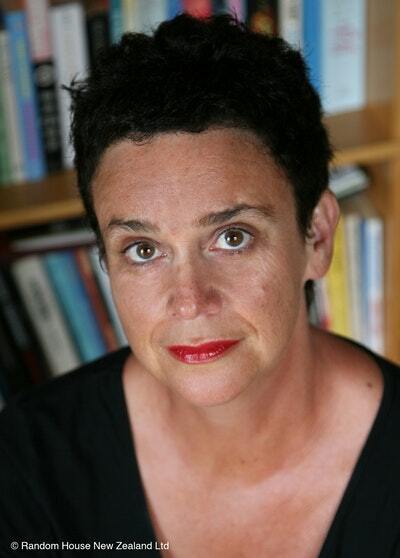 She has taught creative writing at Manukau Institute of Technology and Massey University and has a PhD in Creative Writing from Victoria University, Wellington. ‘If you only have time for one new local writer in your life then make sure it is Sue Orr,’ wrote novelist and critic Nicky Pellegrino in the Herald on Sunday. Etiquette for a Dinner Party presents ‘a wonderfully diverse, yet believable collection of characters and maladies stretching across a classic New Zealand landscape’ (The Otago Daily Times), with stories which offer an ‘intriguing, sharp-eyed exploration of gaps and misunderstandings between people, and gaps between hopes or expectations and reality, with some nicely black twists and turns thrown in’ (The New Zealand Listener). Orr has a twitter account: @SueMOrr. Be the first to find out about Sue Orr.